Despite finding some of the parts of the crashed jet, Japanese investigators are still having trouble determining the cause of the accident, as the jet’s black box has still not been located. In response to the missing aircraft, Japanese maritime forces launched a major surface search, with support from the guided-missile destroyer USS Stethem from the U.S. Navy’s Seventh Fleet. Boeing P-8A Poseidons joined the aerial search alongside various Japanese aircraft. Some wreckage—reportedly from the F-35A’s twin tails—was found and recovered. U.S. Forces and Japan also revealed that the Lockheed Martin U-2R had been used in the search, presumably aircraft from the 5th Reconnaissance Squadron, which are normally based at Osan, South Korea, but also often operate from Kadena air base on Okinawa. U.S. officials also denied rumors that Boeing B-52 bombers participated in the search. Keep in mind that data surrounding tracking F-35s and the information its data-links send and receive are sensitive in nature, especially the data captured by its proprietary low-probability of intercept (LPI) Multi-functional Advanced Data Link (MADL) system which connects F-35s together within line-of-sight. The jet also has satellite and Link 16 connectivity, but they are not stealthy like MADL. 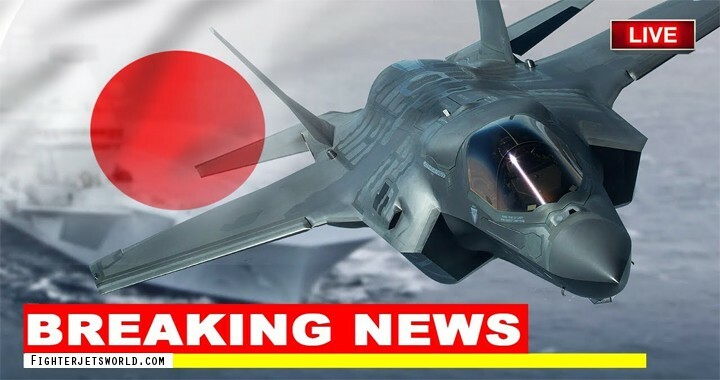 According to reports, the Akinori communicated with the pilots of three other F-35s as well as radar operators prior to the incident, expressing an intention to abort the training session, but without specifying a reason, such as a problem with the aircraft. Japan’s Air Self Defence Force (ASDF) also reported later that the jet hadn’t transmitted any emergency signals before disappearing from radars at 7:29 pm local time. This means that the pilot didn’t or couldn’t use the ejection system, which automatically starts to broadcast a distress signal. The jet itself was assembled locally at a Japanese Mitsubishi plant and was the first to leave the assembly line. It had earlier encountered two issues — it had a faulty position indicator and problems with its “cooling system”. 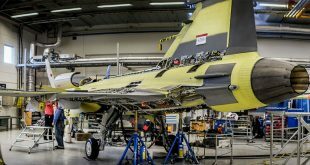 The F-35 jets were at one point grounded in 2016 due to problems with the cooling system, which prevents fuel tanks from overheating mid-flight, although it’s unclear whether the crashed F-35A had similar problems.